The Jewish Calendar and Zemanim are critical components when it comes to living a full Jewish lifestyle. These links will help you determine when a Yom Tov is falling out or when ones Bar Mitzvah will occur. 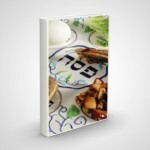 Plus, we provide a link to allow you to easily purchase the famous Ezras Torah Calendar. Enjoy! The 3 year Jewish Holiday Calendar below is copyrighted by Jacob Richman. You have permission to download and/or print it, as long as you do not alter it. Type in your zip code and find the time for Davening, earliest Tallis/Tefillin, know when Plag Mincha is for Early Shabbos and more.